Her return was imminent. Now shes back, and like her current rise among the industries elite, Amelie Lens delivers an astonishing three tracker of her signature pulse pounding expeditions. Pair that with a massive remix from the legendary Perc and youve got Stay With Me, an EP headed straight for the charts. Right from the start Lens dives into the ethereal with Follow Me which could be her deepest cut to date. As atmospheric shimmers dance around endless spaces, her smooth and seductive voice coax you to follow her, close your eyes and give your trust before a booming low end and relentless percussion forge a dreamy trek into the unknown. 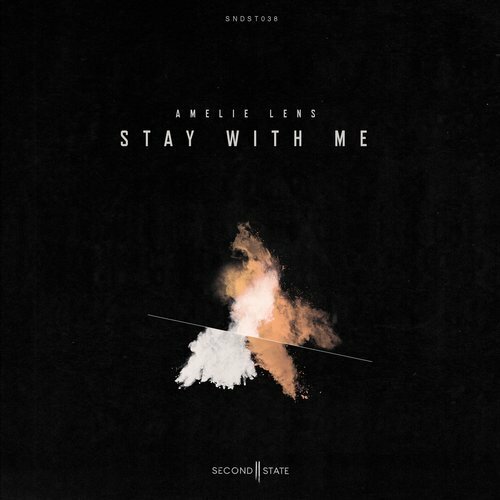 Following Follow Me is the perfect response as Amelie embraces her affinity for the heavy with Stay With Me where swirling acid lines and gargantuan drums lead you into a trance like state of absolute frenzy. Flipping to the B-Side we see the fabled Perc deliver an absolute monster remix of Stay With Me as he tightly loops the vocal and lays it over a pleasantly brutal beat and dazzling rises of white noise to create a track that will demolish dance floors for eternity. Wrapping things up is Winter named after Amelies mischievous little feline who most know via social media as her studio partner. Like a cat Winter retains a playful and energetic pace with a dash of frisky trouble all while maintaining the seriousness of Amelies signature sound. All in all, this release is a monumental attest to Lens meteoric rise as one of Technos most promising new faces. Were glad shes back and we know you are too.